Just a cotton dish cloth on the needles this week. I love having a drawer full of them in the kitchen. And I like having a stash of them handy for last-minute gift giving. Everyone seems to love a handknit dish cloth. I have made virtually no progress on Tea Leaves in the last couple of weeks, which happens when I start quilting more. It’s a balance. 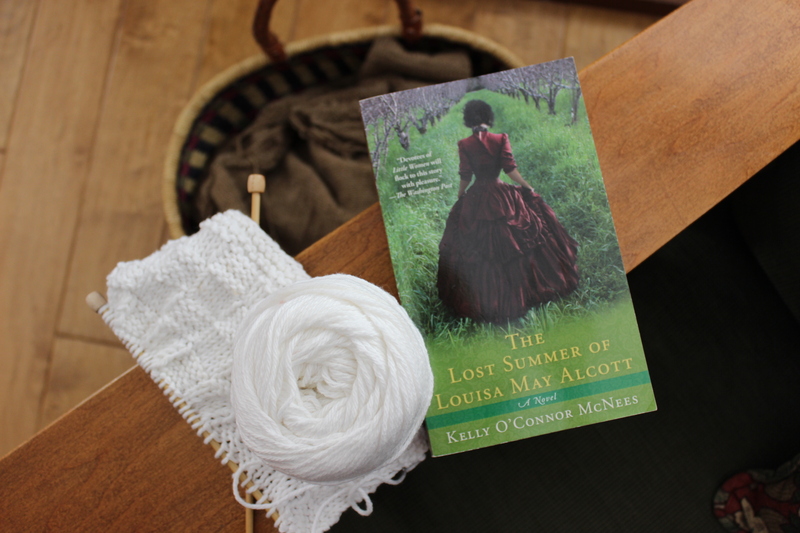 I’ve picked up The Lost Summer of Louisa May Alcott again. I got it for Christmas, but got distracted by other books. I’m fickle that. It’s historical fiction, which I love about an author I adore. I’m looking forward to finishing it this time! 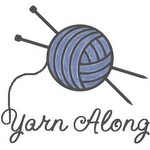 Linking up with Ginny at Small Things.